Obituary – Boepple, Donna Rae (Bucholz) « Perry High School Alumni Association, Inc.
Funeral service for Donna Ray (Bucholz) Boepple, 62, of Covington, will be at 10 AM today in the Covington Douglas School gymnasium in Covington, with the Rev. Jerry Brown, pastor of the St. John’s Lutheran Church, Covington, officiating. Interment will follow in the Covington Cemetery under the direction of Hills – Ely Funeral Home, Medford. Donna Rae was born March 12, 1937 to Harold and Ruth Honeywell Bucholz and passed from this life early Wednesday morning, September 15, 1999 in the Integris Baptist Medical Center, Oklahoma City, following complications from heart surgery. She attended the Perry schools until her senior year. 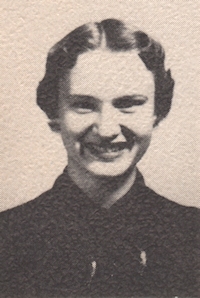 The family moved to Covington and she graduated from Covington High School in 1955. Donna and Lloyd Ray Boepple were married on May 25, 1956 in the St. John Lutheran Church in Covington. They made their home in Enid and later Covington. Donna was employed for Sears in the accounting department for several years. This May, she retired, after 18 years as secretary to the superintendent of the Covington – Douglas School. She was a member of St. John’s Lutheran Church, Covington. Donna was a kind, considerate and self – sacrificing person. Her keen sense of humor was a delight to all. She was a devoted wife, mother and grandmother. She was a trusted and loyal friend. Her love of the Lord showed in the way she lived. Her death will leave a void in all the lives she touched. We will see her again if we keep the faith. She is safe in the arms of Jesus. Heaven has a new angel! 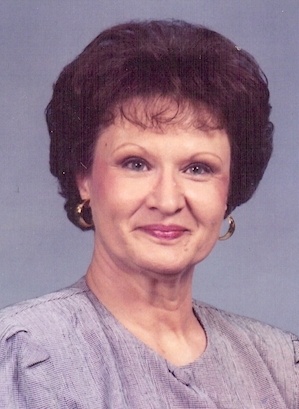 Donna is survived by her devoted husband, Lloyd of the home; two sons and daughters – in – law, Randy and Patti Boepple of Perry, and Gregg and Kim Boepple of Oilton; one daughter and son – in – law, Kristi and James Garner of Edmond; one sister and brother – in – law, Jenny and Dr. Terry Lewis of Ringwood; seven grandchildren, Matthew, Shannon and Felicity Boepple of Perry, Kiersten, Kassidy and Jacob Boepple of Oilton, and Lauren Garner of Edmond; two nephews, Scott Williams of Enid and Chris Williams of Stillwater; a niece, Stacy Williams of Oklahoma City; cousins, other relatives and many friends. Memorials may be made to St. John’s Lutheran Church with the funeral home serving as custodian.